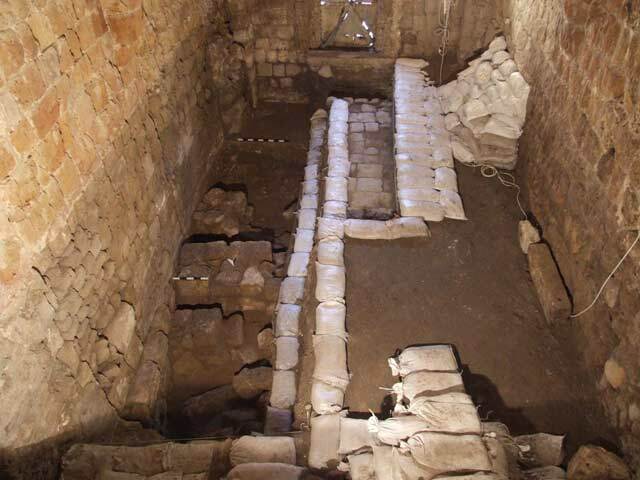 During November 2007 and December 2009, two trial excavations were conducted in the Old City of ‘Akko (License Nos. G-94/2007, G-25/2009; map ref. 206806–813/758537–539). The excavations, on behalf of the Israel Antiquities Authority and the Università degli Studi di Genova, were directed by E.J. Stern, F. Benente, E. Stern and C. Varaldo, with the assistance of A. Parise (2007 season) and R. Lavagna (2009season), Y. Ya‘aqobi (administration), L. Porath (pottery restoration) and D. Syon (numismatics). 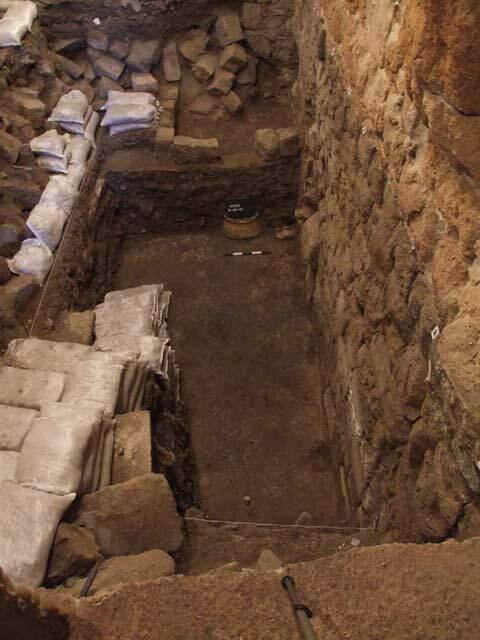 The excavation was undertaken in an Ottoman building known as “House Becky” (building no.12/184), close to the Zeituni Square in the central part of the old city of ‘Akko. 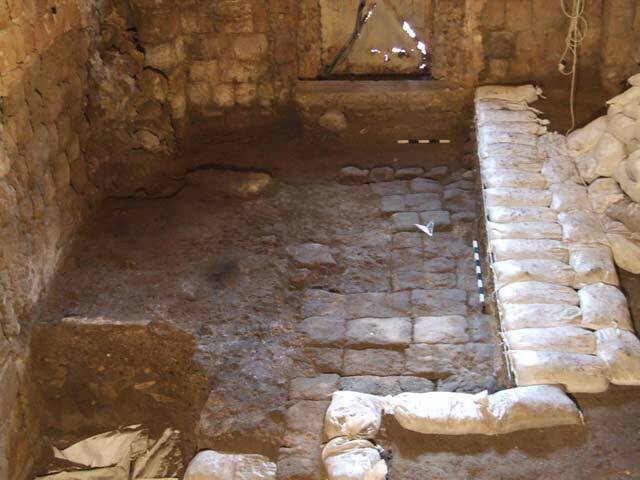 This excavation is an additional phase in a joint project that includes the study of medieval written sources, documenting the Genoese presence in ‘Akko and the archaeological remains in the Crusader Genoese quarter. The first phase comprised the studying of the edited inventory of Genoese possessions in 1249; the second phase studied the remains of a covered street that parts of it had previously been surveyed and excavated (HA-ESI 120). A square (2.5 × 10.0 m) was opened in the eastern part of a great vaulted chamber (internal span in excess of 5 m) and two main periods of occupation and building remains that dated to the Crusader period (twelfth–thirteenth centuries CE) and the Ottoman and Modern periods (eighteenth–twentieth centuries CE) were exposed. The Crusader period, as well as the late Ottoman period and the Modern era, were further subdivided into four phases each. The excavation reached a depth of c. 3 m from the starting floor level. The initial results of the excavations are presented in a chronological order, from earliest to latest. The chronology is based on stratigraphical observations and a preliminary analysis of pottery and coins. Four different phases were distinguished. Phase 1: Remains of two corners, which consisted of two different massive north–south walls built of well-hewn ashlars, were discovered in the eastern part of the excavation. It seems that the two corners of the massive building had an open gate in-between them, leading to a street that was oriented east–west. Phase 2: The street was blocked by a wall, built of reused Crusader building stones (Fig. 1). Phase 3: To the west of the massive walls and the blocking, an underlying collapse layer of debris, comprising mainly large ashlars, some of them bossed, some with mortar and some coming from a rounded plastered corner, was found (Fig. 2). The collapse leans against the massive walls and blocking wall. Phase 4: To the south of these massive walls and above the collapse layer, three other small east–west walls were built, reusing Crusader building stones. These abutted the massive walls and the blocking. However, at this stage of the excavation, the exact date of this phase is disputable. It remains uncertain if this construction dates to the second half of the thirteenth century CE, while rebuilding the destroyed Genoese quarter, or if it dates to Phase 1 of the Ottoman period, when the site was reoccupied once again. Phase 1: Under the floor of Phase 2 in the southern part of the excavation, a leveled layer of mortar, charcoal and pottery was found. It seems that this reflects the stage of leveling and organizing the Crusader collapse, prior to the building activity. Phase 2: The eastern wall of the standing Ottoman building was founded on the massive Crusader walls, although it is not fully aligned with the latter. A thick plaster pavement that abutted this wall is uniformly present throughout the entire excavated area (Fig. 3). It seems that this was the original pavement of the chamber. Ceramic vessels found on this floor, among them the upper part of an oil jar from Provençe, date this phase to the eighteenth century CE. Phase 3: The Phase 2 building was abandoned and consequently the deposits increased and a compact earth layer (occupation level?) was formed at a higher level. Above the eighteenth century floor, two subsequent layers of fill were excavated. Above them, another plaster pavement was exposed in the northern part of the excavation. Two stone alignments were found on the surface of the pavement, in its northern part. Within the space defined by them, a depression filled with loose soil mixed with modern artifacts and material was found. It seems that this floor is dated to the nineteenth, possibly early twentieth century. A stone pavement, perhaps of a public paved alley aligned north–south, was exposed in the southern half of the excavation, within the central part of the building (Fig. 4). This was dated to the late eighteenth–early nineteenth centuries. This stone pavement is in the same direction and in continuation of an existing alley, south of the excavated building. Phase 4: Above the Phase 3 floor, two further fill layers of contemporary and modern era debris (depth 1.6 m) were found; above them, a modern solid concrete pavement was installed throughout the whole building. This seems to date to the 1970s, as attested by the neighbours. By integrating the stratigraphic data from the excavation with the analysis of the walls it was possible to assume that the eastern wall of the large Ottoman vaulted chamber was founded on the destruction level of earlier walls and a large portion of the Crusader-period ashlar walls was incorporated in its construction. 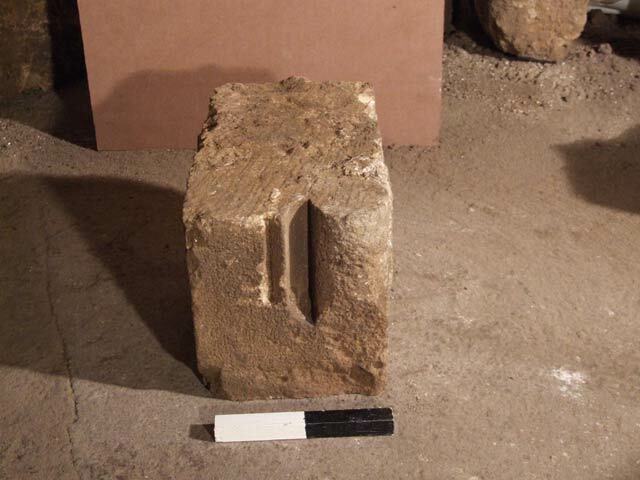 The remains from the Crusader period, although very scanty and fragmentary, seem to be in alignment with the covered street, excavated and surveyed in the Genoese quarter of ‘Akko (‘Atiqot 26:105–111). It is possible that the changes in the building are connected to historical events, mainly the St. Sabas war that occurred in the mid-thirteenth century CE (1256–1258) and the final destruction of ‘Akko in 1291. However, it is too early to confirm these assumptions and only further excavations will reveal more data regarding the Crusader-period remains. It seems that during the Ottoman period, the building had undergone major changes; it became an enclosed dwelling area during the eighteenth century CE and in the late eighteenth or early nineteenth centuries CE, it was part of an alley, perhaps a covered alley that later was canceled and reverted once again into a building. 1. The excavated area at the end of the excavation, looking south. 2. A worked stone found in the debris. 3. Thick Ottoman plaster floor and ceramic vessels in situ, looking north. 4. Ottoman stone pavement, looking south.